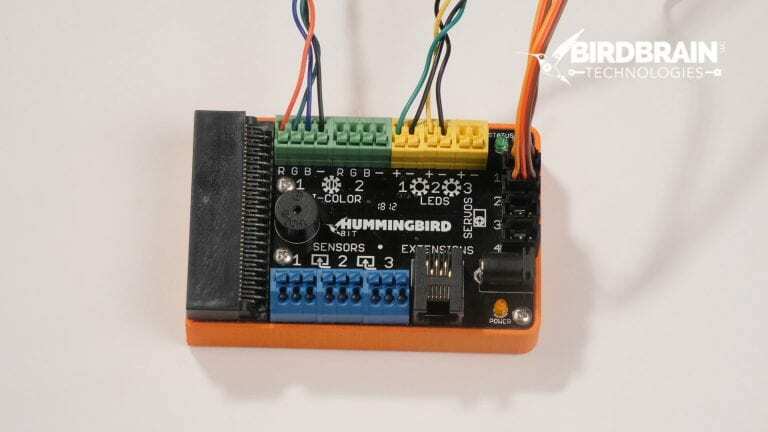 This module will show you how to plug LEDs, Position Servos, and a Light Sensor into your Hummingbird Bit. Find LED Port 1. Plug the color wire (green, orange, red, or yellow) into the positive (+) terminal and the black wire into the ground (-) terminal. Repeat this process for LED Port 2. 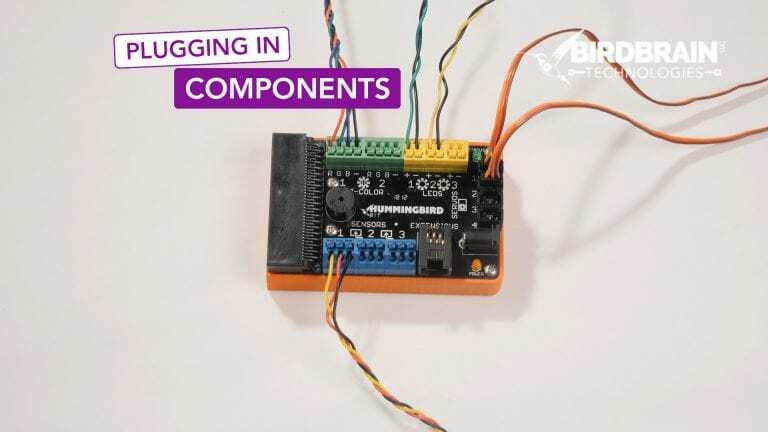 When positive and ground are connected, you have a completed circuit. A circuit is required for electricity to flow. The four wires of the tri-color LED are red, green, blue, and black. The black wire should be connected to the ground terminal. The red wire should be connected to the ‘R’ terminal, the green to the ‘G’ terminal, and the blue to the ‘B’ terminal. By mixing red, green and blue light, you can create almost any color. 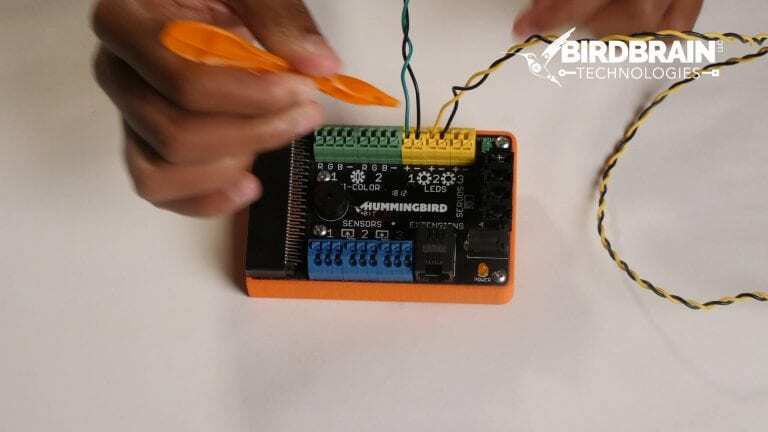 When plugging in the servos, make sure the brown wire is aligned to ground, the red wire to positive, and the yellow wire to “S”. S stands for signal. Positive and ground provide the servo power, while the signal tells the servo which direction to turn. 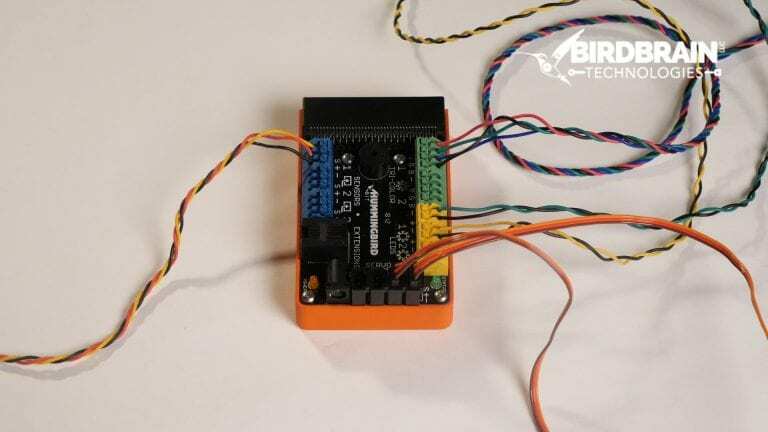 Like the servo, the light sensor has 3 wires. Red and black plug into positive and ground to provide power, while the yellow wire plugs into “S”. 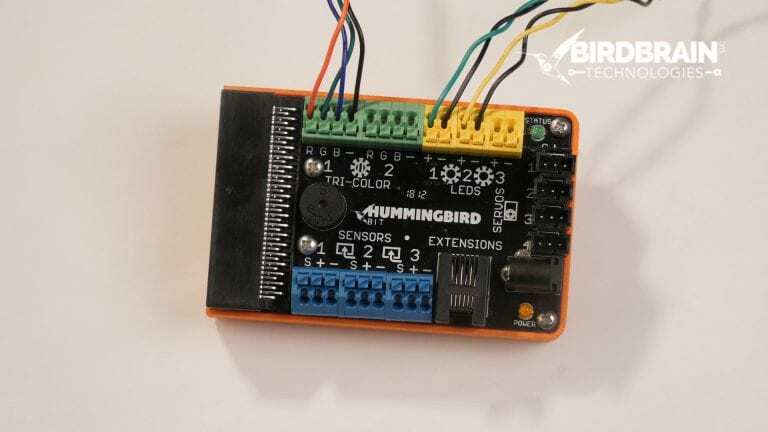 Sensory information travels from the light sensor into the Hummingbird through the signal wire.